To make a dramatic, communal dinner party dish, chef Michael Chiarello takes inspiration from ancient Tuscany. Line a heatproof table with butcher paper. 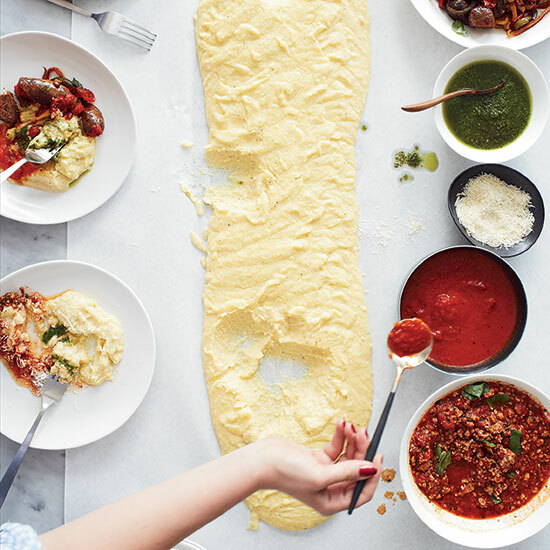 Pour just-prepared polenta onto the butcher paper and invite guests to grab spoons and forks, add toppings and dive in. Pass additional Parmigiano-Reggiano at the table.